Sadly, the Reef has been featured in the news most recently for the negative impact that climate change is having upon the national icon, and the outrage that has been expressed by the Australian people as a result. It has been estimated that approximately ¼ of all of the coral reefs in the area are now dead, with further bleaching and damage set to take place over the course of the next century. As Australia swings into its marathon election campaign, some have hoped to turn this into an election issue. In the state of Queensland, where the Reef itself accounts for 1.2% of the total economy, this may prove an effective tactic. In a recent stunt that garnered a great deal of media attention, a man dressed in an orange and white Ocellaris clownfish costumed joined Prime Minister Turnbull on the campaign trail in Adelaide, asking the government to support Nemo and the habitat that now looked to be in serious danger. While the Prime Minister handled it well, posing for a selfie as he is wont to do, he promised to forward the photo onto his grandson Jack who loved the orange clownfish. The man dressed as Nemo however, was notably less impressed. Instead, he asked whether the Prime Minister’s grandson wouldn’t instead prefer that Australia cease building coal mines, at which point it was time for the Prime Minister’s campaign to continue. But before they did that, the Prime Minister did have a word to support his governments record on the issue to date. Speaking to the clownfish, he noted that under the former Labor government, the Great Barrier Reef was on the ‘watch list’, whereas it has since been removed. Unfortunately, the Prime Minister neglected to mention that one of the major reasons that it had been removed from this list was that the government had actually engaged in a $400,000 AUD lobbying effort to remove any such mention of the Reef from a UNESCO report, fearing that such references would harm the popularity of the tourist destination. 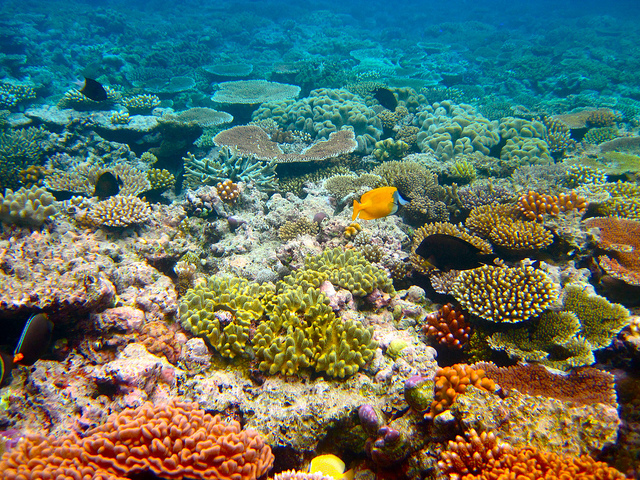 The Opposition seized this opportunity, announcing $500 million towards protecting the Reef in order to “invest in direct environmental management… invest in science and research” according to party leader, Bill Shorten. What is more likely to harm the prospect of this tourist attraction is the negative media that followed such efforts. Additionally, coverage of the world’s largest coal mine being developed by Indian coal magnate Adani Enterprises continues to dog the region, reflecting the trepidation with which many view this latest development. While Malcolm Turnbull, Australia’s newly appointed Prime Minister has proven far more popular than his predecessor Tony Abbott, the support for the new leader has faded as he has struggled to differentiate himself from Mr Abbott. Indeed, whereas Abbott replaced Turnbull as leader of the Liberal Party in 2007 because unlike Abbott, Turnbull supported pricing carbon, the current leader has since proven an active advocate for the government’s current climate policy which notably, lacks a workable emissions trading scheme. 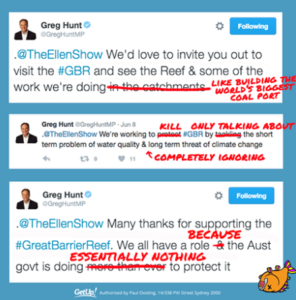 Therefore, while it is expected that people will continue to try and turn the government’s attention towards the Reef this election, it is unlikely to succeed. Given that this election continues to centre around traditional themes of health, education and the economy, it is expected that environmentalists will have to work to raise the ire of the public to the extent that it would matter electorally. Perhaps this is one reason why activist groups have been expanding their efforts to turn the eyes of voters to the Reef, with campaigners at Fight for the Reef recently unveiling a new 30-second video clip exploring the lives of tourism operators in the region. Despite this, recent media attention has turned to statements made by Chairman of the Great Barrier Reef Marine Park Authority, Russel Reichelt who argued that lobby groups had been misrepresenting the science and distorting maps and data to overplay the extent of bleaching taking place in coral reefs. Reichelt argued that while “I have no problem with environmental activists portraying the seriousness of the event”, some groups have stated the extent of the bleaching to be as much as 33% whereas the truth is closer to 25%. What’s important to bear in mind is that while in some areas the death toll for the reef is at “only” 25%, it has been estimated that in some areas, 90% of the Reef has already experienced some degree of bleaching, with up to 50-60% expiring in these areas. 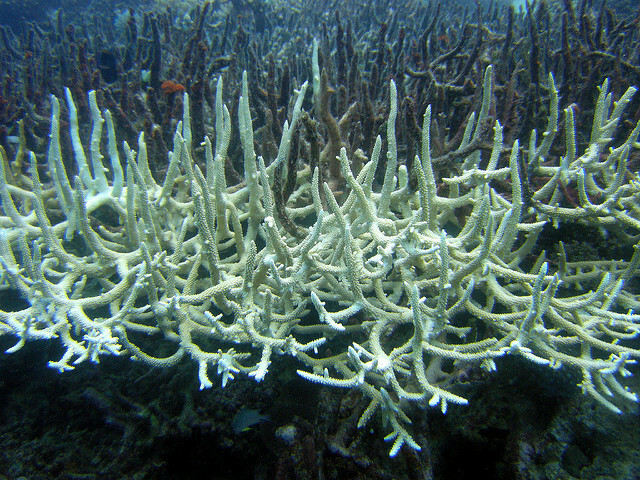 Coral bleaching is a phenomenon that occurs when sea temperatures rise by one degree or more, leading algae that live in the corals to be expelled. As this is the primary supply of energy for coral, it turns white and expires when this has been gone for too long. Unfortunately, while not all coral that warms dies immediately, if sea temperatures do not return quickly to their previous temperature, seaweed grows in its stead, making it impossible for coral to return to its natural position. The extent of this damage has been devastating for many close followers of environmental issues. With many hoping that Turnbull would be the environmentalist that Abbott had proven unwilling to be, the upsetting fact is that he has refused to advocate for the emissions trading scheme that he once supported. Nevertheless, with Environment Minister Greg Hunt recently criticising Labor’s proposed policy for being insignificant and largely bureaucratic, it remains possible that this message will resound with voters. As the Australian economy continues to perform impressively for the most part, Labor has been failing to score significantly with those most concerned about the economy. Perhaps this is why the election still remains too close to call. But as election date looms once more, it is also conceivable that at this stage, any issue, no matter how “fringe” could still play the decisive factor in an election season as close as this. THE GREAT GUN DEBATE: WHAT YOU NEED TO KNOW! 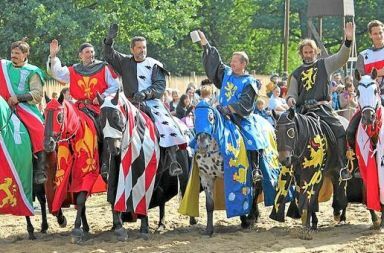 WHAT A KNIGHT- MARE IN AUSTRALIA!